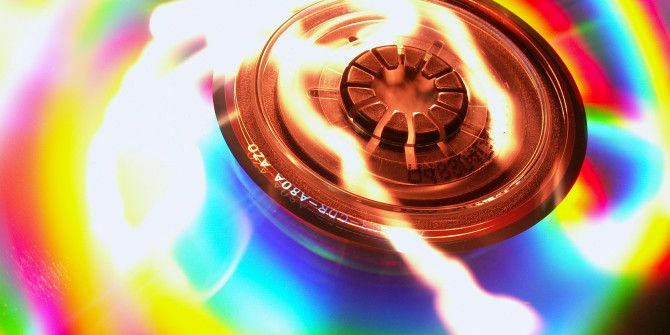 Although discs are slowly becoming obsolete and being replaced by simple transfers or downloads over the Internet, there are still plenty of reasons for burning or copying some discs. In some cases, your Internet connection may not be sufficient enough to download the files you want. For example, distributing CDs/DVDs of Linux distributions is easier than telling computer-illiterate people to visit a website, download a large file, and burn it to a disc themselves. In any case, you need a trusty burning utility to do the job, and Brasero and K3b are your top choices. I’ve covered Brasero Burn Audio, Video, & Data CDs With Ease Using Brasero [Linux] Burn Audio, Video, & Data CDs With Ease Using Brasero [Linux] Read More in an article before and showed that it’s a highly capable burning utility. While functional, it does provide an extremely simple interface so that you only see certain functions in one view at a time. Brasero first asks what you’d like to do before it shows anything else. In the case of disc duplication, you don’t see many other options besides a source and destination drive. If you choose to create a new project, however, you get to see the interface for adding files that you would like to burn. Additionally, if you open an ISO file with Brasero, you’ll be able to burn that image to a destination drive. Of course, settings like ejection after completion and speed control are also included. Brasero should work with all disc burners without having to require any special drivers. I know that some Windows burning utilities look for specific drives; this is not the case with Brasero. Brasero is commonly found with the Gnome desktop environment as well as any other Gnome-based desktop environments Gnome-Based Desktop Environments Explained: MATE vs. Gnome Shell vs. Unity vs. Cinnamon Gnome-Based Desktop Environments Explained: MATE vs. Gnome Shell vs. Unity vs. Cinnamon Ever since Gnome went ahead with their Gnome Shell idea, the Linux community has been at a frenzy to find a new desktop environment that is right for them. A majority of users used Gnome... Read More . Installing the burning utility is as easy as searching through your respective package manager for a “brasero” package. It’s a very common application so I would be very surprised if your distribution did not have it. Gnome users should have an easy installation, but KDE users may need to be prepared to face a lot of Gnome dependencies marked for installation along with it if they choose to install it anyways. K3b is the default burning utility for the KDE desktop environment Enjoy A Clean, Improved Desktop With KDE 4.7 [Linux] Enjoy A Clean, Improved Desktop With KDE 4.7 [Linux] One of Linux's most popular desktop environments, KDE, released their latest series (version 4.7) at the end of July. This version improves on work done in previous releases by adding new features while improving performance... Read More . KDE applications are known to be less simple by valuing features and the ability to customize everything, and K3b is no exception. Unlike Brasero where you are only exposed to certain parts of the application at a time, K3b shows you everything right from the start. You can then use various buttons or menus to access the specific features you’re looking for. K3b’s main interface is concentrated on the idea of creating projects — the top portion of the window shows all of the files on your computer, while the bottom half is everything you want to burn onto the disc. It may seem to you that K3b, interface aside, has the same features as Brasero, and you would be correct in thinking so. However, it also packs a few others, including a formatting tool for rewriteable discs, tools for ripping audio CDs, video CDs, and video DVDs, and support for plugins and themes. While the ripping features certainly isn’t necessary for a burning utility, all of these are still very nice to have. The plugins support can certainly be handy to extend the functionality of the application. Having different themes is also very nice, but it doesn’t change much besides a few graphics within the application. Installation may be a bit tricky if you don’t have KDE installed, as K3b usually comes with the base KDE packages. You can try looking for a “k3b” package, or otherwise you’ll need to do some research to see in which package K3b is bundled into. Likewise to Brasero, K3b should work on all burners without question. No special drivers needed. So which burning utility is ultimately the better choice? Both are pretty good choices, but I have to declare K3b as the winner. While the margin of victory mainly comes from the addition of formatting tools, plugins support, and ripping features, they’re still pretty nice to have. Otherwise, if you want simplicity, then choose Brasero. If you enjoy power, go with K3b. Either way, you’re making a good choice. Do you still use burning utilities? Are there any noteworthy burning utilities for Linux that are underappreciated? Let us know in the comments! 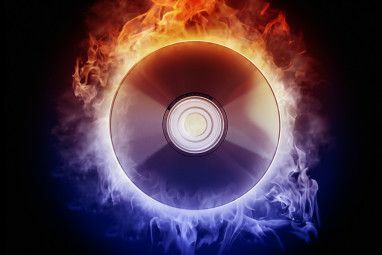 For me K3b was the rock star of CD/DVD burning programs, it's fancy, it's full of features, and above all it's native to my KDE desktop. With that said, I'm over optical storage medias now, a USB flash keys and an external USB 3 HD covers all my needs. As far as these tools are concerned, I don't really think there is a true comparison. K3b is a finely tuned and seasoned program and Brasero not so much. I tried using Brasero once. Let me restate that... I tried using Brasero ONCE. I won't ever likely give it a second go. It almost reminded me of a really bad Windows program designed for children to use. While I use Nero Linux personally, if I can't use it, I'll reach for K3b. IMO there is no reason to try anything else. Did all of you pay for Nero? I haven't ever heard of so many people using it. k3b has multisession support which brasero does not have. 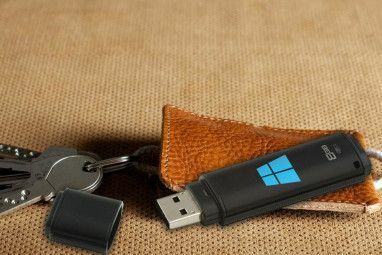 This is handy when you back-up files over a period of time. I thought K3b was great, until I tried to burn dual layer discs. Different burners, different machines, same result...many coasters. The Linux version of Nero worked though. Except for GIMP, comparing Gnome and KDE applications is like comparing a chmpanzee to King Kong. Yes, they are heavier, but so much more powerful there's really no comparison. I've tried Brasero several times and It always seems to take forever to burn a disc. After starting a burn it says copying files or something like that. Who knows what it's doing. After an crazy amount of time it finally starts to burn. K3b works perfect and does have some nice extras but unless you are running a KDE system it pulls in a very large list of dependencies I'd rather avoid. I find Xfburn to work perfect. NeroLinux is great but I'd rather use FOSS software. On another note I find Lacie's lightscribe tools to be great for lightscribe. There is for Linux still known utility Nero. Perfectly set. Tested on KDE & LXDE. I have and use Nero Linux myself. I purchased a license a long time ago. What I like about k3b is when you open an ISO file it computes the md5 sum so you can see if your disk image is correct before you burn it. I do like md5 and sha sums. Everyone is encouraged to check the sums so it's nice to have k3b do it for you. Xfburn is superior to both Brasero and K3b. Brasero is notorious for making coasters, and K3b requires installing all of that KDE nonsense that slows down your computer. I do miss GnomeBaker, which was better than any of the above. A coaster is a round piece of plastic one puts under a glass or cup to protect the surface of furniture. Useless CDs make reasonable coasters. A dependency isn't going to slow down your computer. It doesn't do anything unless it's actually being used. Surprisingly, I haven't had any issues with Brasero. Maybe that used to be the case? I personally use Brasero for all DVD burns and it works fantastically. I haven't had any problems with it. I use K3B for Audio and it works fantastically. I haven't had any problems with it. Having used both, I prefer k3b. It has a nicer UI, works smother and has more features. Also, since I prefer KDE to Gnome, I get k3b automatically. Xfburn is a very simple burn used with the XFCE desktop, it is a lot Brasero but in my opinion better. I've had some problems with Brasero not wanting to work all the time in early versions of Fedora.